The regional security office for the U.S. Embassy in Libya compiled a running list of 230 security incidents through July 2012 in a memo that ultimately concluded that "the risk of U.S. Mission personnel, private U.S. citizens, or businesspersons encountering an isolating event as a result of militia or political violence is HIGH." The document, obtained by CBS News, is the latest piece of evidence suggesting security in the country was tenuous ahead of the Sept. 11 attack on the U.S. Consulate in Benghazi that left Ambassador Chris Stevens and three other Americans dead. Since the attack, there have been increasing questions about whether the State Department did enough to safeguard its diplomatic personnel in Libya, with some security officers for the mission claiming that repeated requests for additional security were ignored by officials in Washington. In an email to congressional investigators dated Oct. 1, Regional Security Officer Eric Nordstrom said he sent similar lists of security incidents to superiors as a "significant part of (diplomatic post's) and my argument for maintaining" Diplomatic Security and Defense Department assets in Libya through October because the Libyan government "was overwhelmed and could not guarantee our protection." "Sadly, that point was reaffirmed on Sept 11, 2012 in Benghazi," he wrote. Nordstrom, who served in his post as regional security officer from September 2011 through July 2012, said the 230 incidents outlined in the memo "paint a clear picture that the environment in Libya was fragile at best and could degrade quickly. Certainly, not an environment Where post Should be directed to 'normalize' operations and reduce security resources in accordance with an artificial time table." 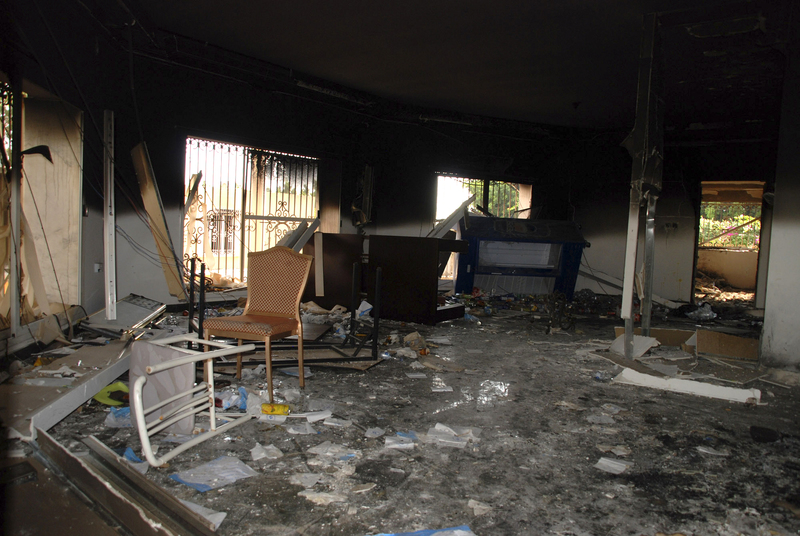 In Benghazi, violent episodes appeared to be on the rise starting in June 2012 and included an explosion at the consulate June 6th, and an attack on the British Ambassador's convoy on June 11. He wrote that an earlier version of the memo, which started tracking security incidents in June 2011, was attached to the diplomatic post's Hardship and Danger Pay report, "which resulted in an increase of danger pay to 30 [percent] of base bay" this summer. He also claimed to have provided similar reports during regular emergency action committee meetings, though they typically focused on incidents falling within smaller time frames - two weeks or a month, he wrote. Nordstrom is expected to testify Wednesday before the House Oversight and Government Reform Committee. Deputy Assistant Director for International Programs Charlene Lamb, who approves security requests, and Lt. Col. Andy Wood, the former head of a U.S. Special Forces "Site Security Team" in Libya, are also scheduled to testify. Wood, in an interview with CBS News correspondent Sharyl Attkisson, said he and many other senior staff at the U.S. Embassy in Tripoli, "felt we needed more, not less" security personnel in the country, but were told "to do with less. For what reasons, I don't know." The State Department has formed a special panel to investigate the consulate attack but have told CBS News' U.S. State Department correspondent Margaret Brennan that any withdrawal of security personnel prior to the Benghazi attack had "no impact whatsoever on the total number of fully trained American security personnel in Libya overall or in Benghazi specifically." There was a Quick Reaction Force on standby in Tripoli to deploy if needed. That team did arrive in Benghazi on the night of the attack, but not until hours after the assault began. The State Department also has continued to cite the threat assessment conducted by the Director of National Intelligence which stated that there was, "no actionable intelligence that an attack on our post in Benghazi was planned or imminent." The Obama administration initially described the attack as an outgrowth of a protest against an anti-Muslim film produced in the U.S., which also sparked violent demonstrations outside the U.S. Embassy in Cairo a day earlier. Faced with persistent criticism from Republican lawmakers and others at the description of the attack as spontaneous, particularly given the use of heavy weaponry and organized tactics, administration officials have since classified it as a terrorist act, though Defense chief Leon Panetta said it took him "a while" to even reach that conclusion. Ansar al-Sharia, an Islamic fundamentalist militia in Benghazi has been considered a likely suspect in the attack and is believed to have links to al Qaeda's North African branch - al Qaeda in the Islamic Maghreb. Several other militant groups have been mentioned as possible culprits, and CBS News senior correspondent John Miller says that discerning the specific identity of those responsible will be difficult due to the blurred lines between the myriad extremist groups operating in Libya, and the wider region. The memo noted that the rise of private militias in lawless portions of Libya threatened the fledgling national government, "which does not yet have the ability to effectively respond to and manage the rising criminal and militia related violence."